Glenn Hoddle says Tottenham aren’t pressing from the front this season and their failure to do so is contributing to the team’s poor run of form. Spurs suffered a third straight defeat under Mauricio Pochettino for the first time on Tuesday, losing their Champions League opener against Inter Milan at the San Siro. 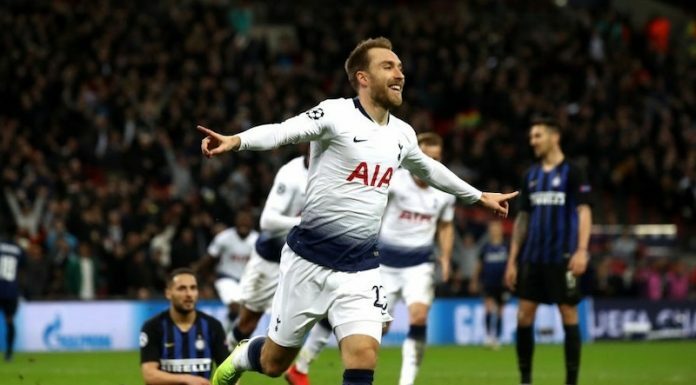 The Londoners led 1-0 until the 86th minute but two late goals sealed the points for Inter, making Tottenham’s chances of reaching the knockout stages difficult from the get-go. Pochettino’s men were the better side for long spells in Italy, but Hoddle – who was on punditry duty for BT Sport – noticed his former side were failing to do something they have become known for under the current regime. “You’ve seen Harry Kane going to the goalkeeper,” Hoddle said (via football.london). “We’ve seen that time and time again over two years but he has his cavalry with him. “He has somebody coming with him – twos or threes hunting. They’re not doing it. They haven’t done it this season. Tottenham’s lack of pressing could be down to the tiredness of many of the team’s World Cup stars, although two of the players that starred in Russia – Toby Alderweireld and Kieran Trippier – were left at home for the Inter game. Does Hoddle have a point? Let us know your thoughts in the comments.